The Punta Union Pass in the Santa Cruz Valley will take your breath away. The Santa Cruz trek is one of the most popular hiking routes in the Cordillera Blanca. However, the route is also recognized as one of the world’s best hikes. National Geographic rated it as one of the best treks in the world. The trail winds through the alpine valleys of the Cordillera Blanca. This route is known as a Punta Union Pass. Moreover, the hike rises to 4,750m (15,580ft) which gives hikers a panoramic view of the Cordillera’s high glaciated mountains. However, these are not the only jaw-dropping wonder you’ll encounter on this trail. The turquoise-colored lagoons have to be seen to be believed. Although, the Punta Union Pass is also home to ancient, indigenous villages. The area is filled with gigantic, cascading waterfalls. As a result, the whitewater streams snake through the valley. However, as aforementioned, the view from the highest point of the Punta Union Pass is spectacular. It will leave you breathless, figuratively and literally. The trek can be accessed from the west or east. Furthermore, it can be completed in three to six days. The longer hikes include some of the additional side valleys. We offer a range of different trek packages. From guide only ‘backpacker’ setups to ‘semi-luxury’ all-inclusive expeditions. See below for the current options we have available or contact us directly. We hope to see you on the Santa Cruz trek soon! Private pick-up at the Lima International Airport. Transfer to hotel in Lima for a nice meal and a good night's sleep. Private transfer to the coach station and a comfortable first class ride to Huaraz, approximately an 8-hour journey.. Move into your hotel, relax and get to know Huaraz. 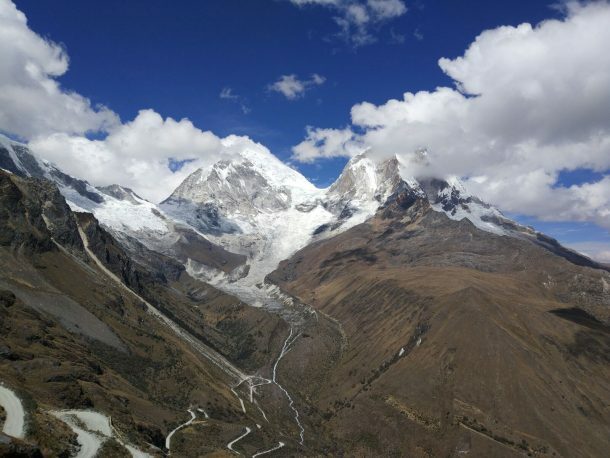 Orientation meeting in your hotel in the morning and then head out on a 4-hour acclimatization hike to the Puka Ventana (“red window”) outside of town, where you’ll get great views of the entire Cordillera Blanca range. Spend the night in your Huaraz hotel. 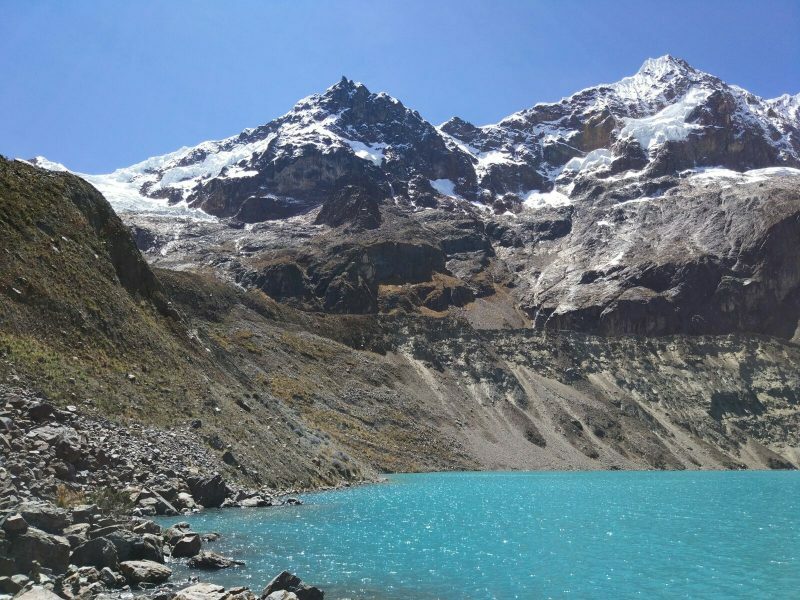 Day hike to the turquoise waters of Laguna Churup (4,500m), approximately a 5-hour round trip. Return to Huaraz, night in hotel. Depart Huaraz and drive to the small village of Cashapampa to meet your donkeys and begin your trek up the beautiful Santa Cruz Valley. Hike about 4 hours before setting up camp and settling in for the evening in an area called Llama corral. Continue hiking up the valley for 5-7 hours, towards the first pass of the trek (Punta Union, 4,750m). Camp before the pass near the popular Alpamayo base camp. Optional trip up to see the base camp. Hike up and over Punta Union and descend to about 4,200m where a nice camp awaits in Paria. Hiking time, 6-7 hours. Continue your descent towards the town of Vaqueria, then cut southeast on the trail at Colcabamba. Enter the Ulta valley and sleep in Molina Pampa before ascending to the second pass. Hiking time, 4-5 hours. 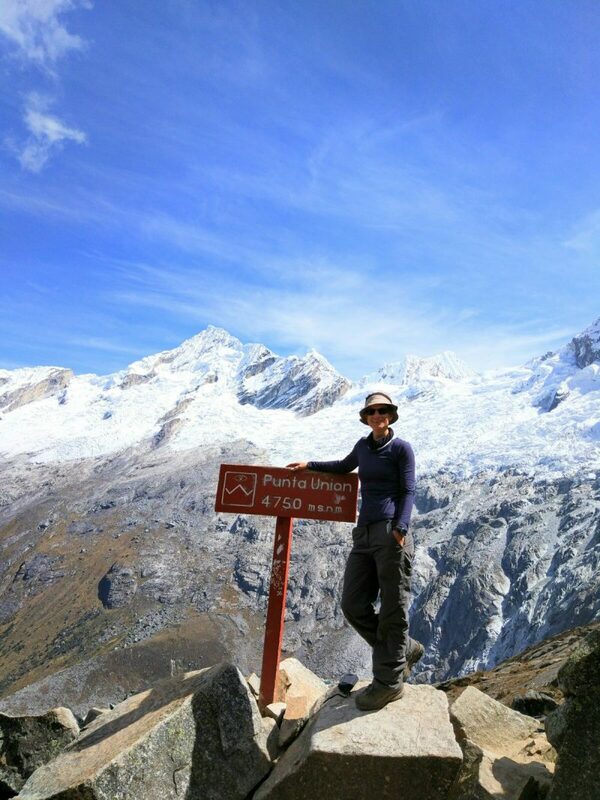 Hike up towards Yanayacu Pass on a lightly-traveled path to a beautiful campsite called Avalancha situated below the towering peak of Contrahierbas. Hiking time 5-6 hours. Enjoy your last morning at camp then pack up and hike out to meet your transport at the road. Transfer to Huaraz for a well deserved warm shower and the celebration banquet. This is a 4-day trek from Huaraz to Huaraz. Max. team size: 8. Price: $299. This is a 11-day Santa Cruz/Ulta trek with all services from Lima to Lima. Max. team size: 8. Price: $1,585. 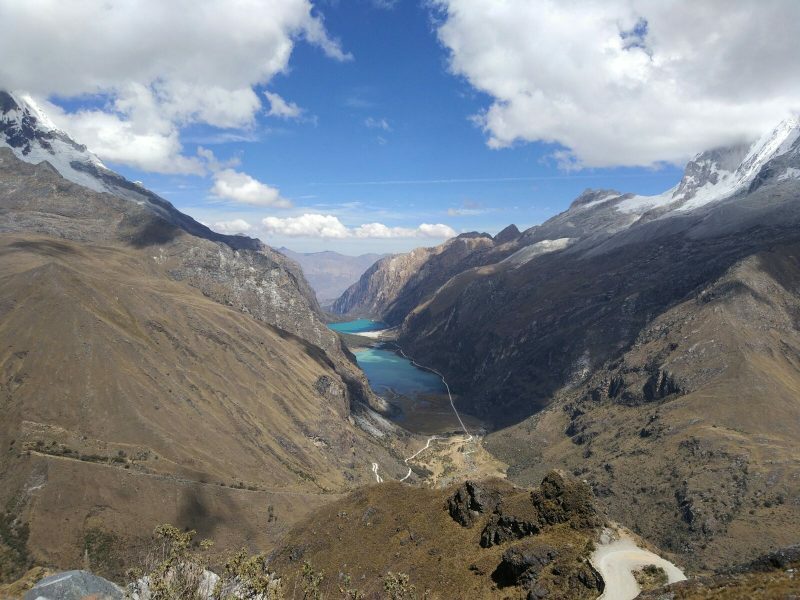 This is a 4-day trek from Huaraz to Huaraz. Max. team size: 8. Price: $299. 2 people confirmed.